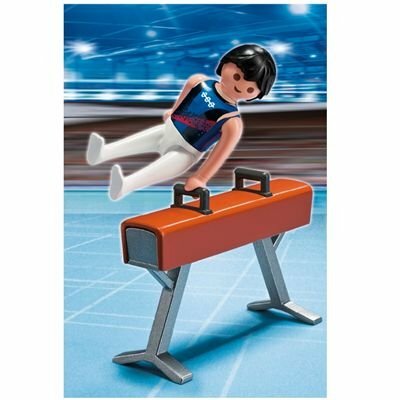 The Playmobil Gymnast on Pommel Horse includes one Playmobil figure and pommel horse apparatus. N.B. These Playmobil gymnastics figures are from a series of 4 released for the London Olympics in 2012. 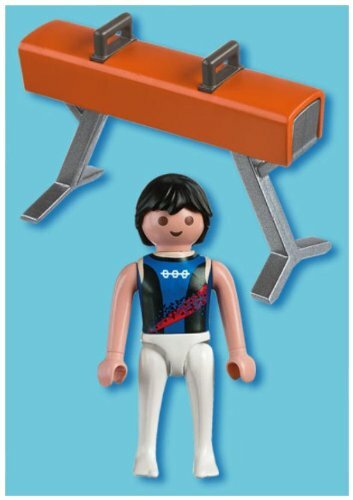 The men’s rings and pommel horse figures are still relatively easy to find, but the women’s beam and uneven bars sets are becoming very rare and hard to find. 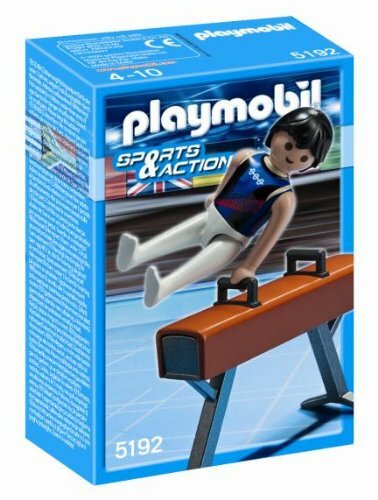 We continue to search for these items and add them to our store when they are available.